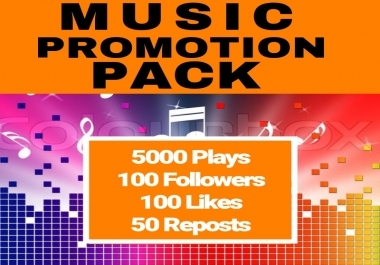 Get my AllinOne Music Track Promotion Package and get your tracks promoted with real people plays and listeners, real "listen to this track" reposts, and real people likes and followers. All in one, AllinOne Music Promotion Package Service! + We have several music site profiles we own which we'll share to. + We share your track on many music related Social Networking sites. + We share using our own old accounts into old relevant music communities. + We share and post to music related pages, groups, communities, boards & more. 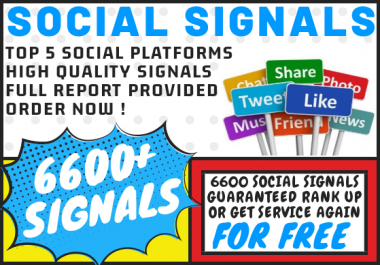 + We use very reliable and most safest way of promoting your tracks. + We use very safe methods for generating plays, followers, likes etc. 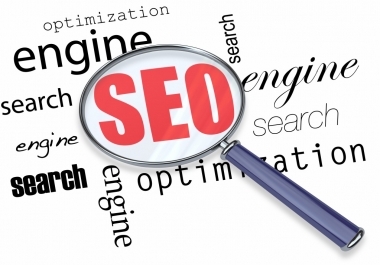 + We will keep and send a full report of everything done for you. + Done naturally, organically, over a few days time. 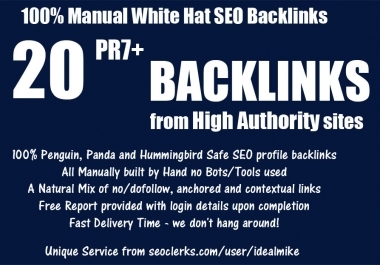 Several submissions to our own music profiles, submission and sharing to multiple Social Media sites, pages, groups, communities & boards, for top authority backlinks, embeds and social signals. - 5000 Plays for a Big Track! Just order and send me your track link that's all I need really at minimum. You can send me some small promo message or #hashtags if any. Thanks for viewing my service and I look forward to your order! Cheers and here's to the success of your music!